Ah, Bluetooth speakers, they are everywhere! They come in different sizes, shapes, loudness, fidelity, sound quality and price; there are tons of them. It’s very easy to get lost or hard to decide which one you should pick. Today, we are going to look at 15 of the best portable Bluetooth speakers that are currently available in the market. Some of these portable Bluetooth speakers are new and some have been around on the market for quite some time. But definitely, all of these portable Bluetooth speakers have top notch build and sound quality. In this article, let’s stick to the best there is at around $100 to $400 price range. 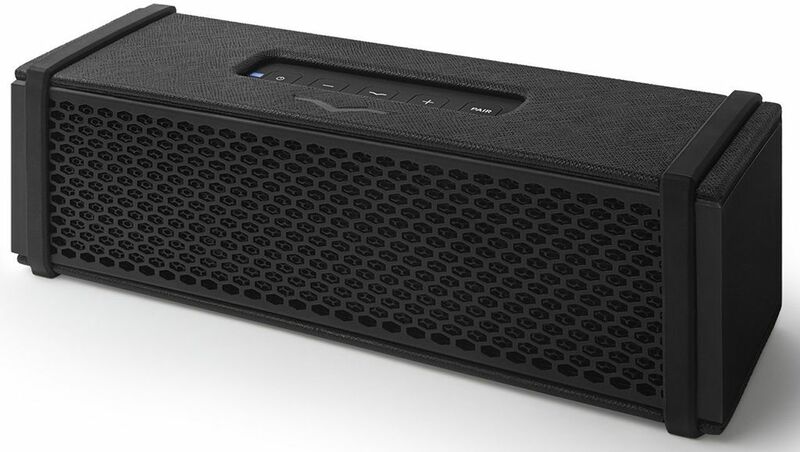 Without further delay, check out our top pick portable Bluetooth speakers below. 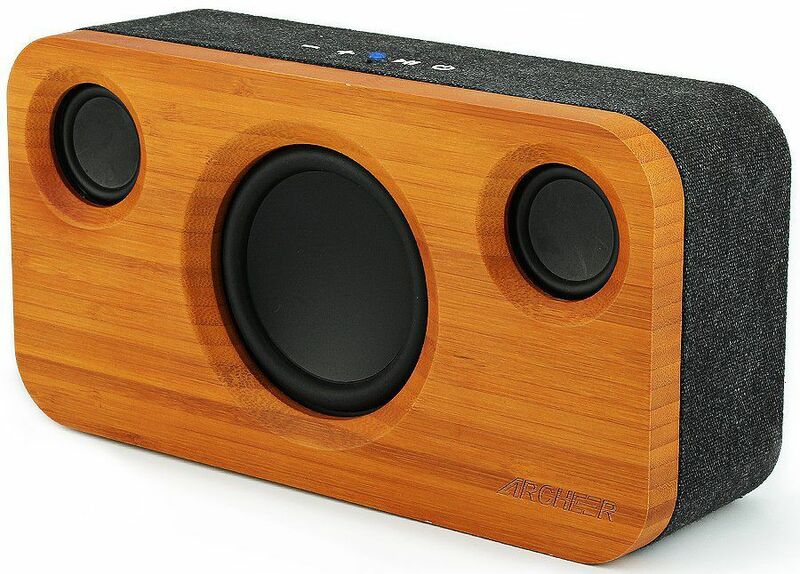 First in our list is the $100 ARCHEER A320S Bluetooth speaker; it features a small body or housing made from natural bamboo. 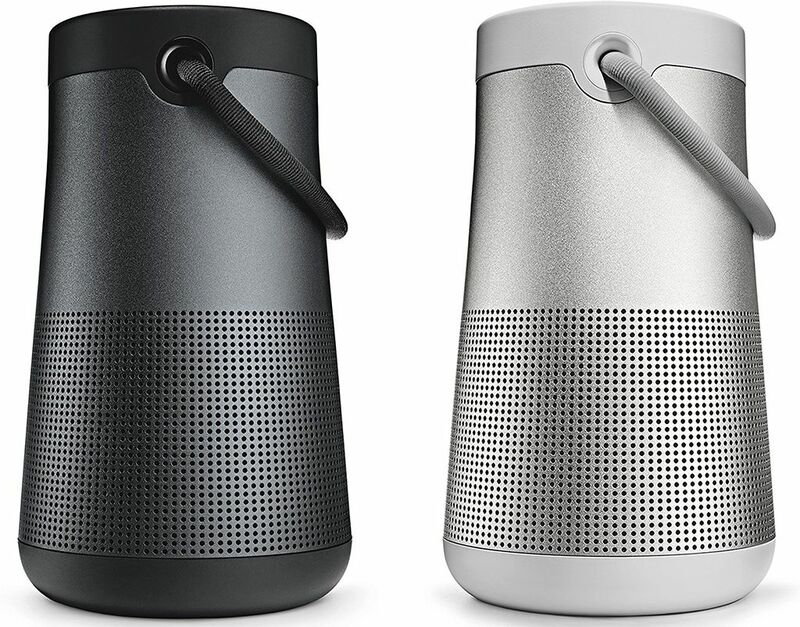 Sound quality is good for its price and you can pair two of this speakers; one will serve as the left channel and the other as the right channel (wirelessly). It uses Bluetooth 4.0 connection which is compatible with most mobile devices nowadays. The Archeer A320S is powered with two 4400mAh batteries, offering up to 20 hours of music playback at 50% volume; of course actual battery life could be lower depending on the actual usage or loudness of the volume. 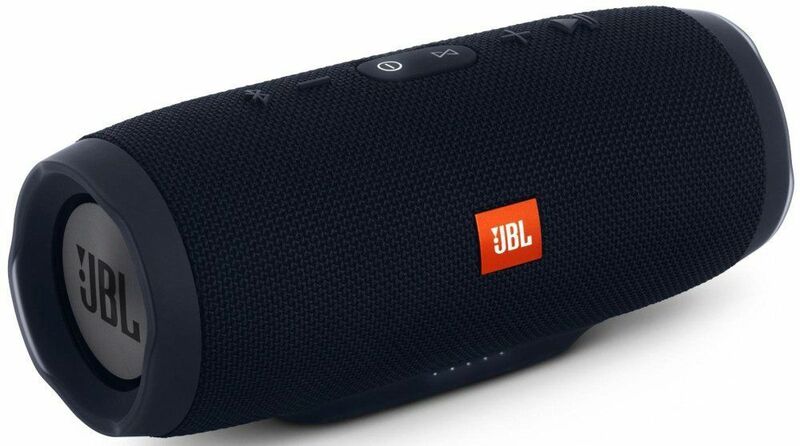 Priced a little bit higher (at $128) is the JBL Charge 3 portable Bluetooth speaker. This small tube like Bluetooth speaker is not only portable and wireless, but it’s also waterproof, with IPX7 certification. According to the IP Code, at level 7 it means the device is capable of immersion up to 1m depth only. I don’t think you can listen and enjoy music underwater though, but this is more appropriate to use when you are beside or near swimming pool, bath tub or places where there is a chance that the speaker might get soaking wet (accidentally). You can also take calls with the JBL Charge 3 thanks to its noise and echo-cancelling speakerphone. It’s also capable of lasting up to 20 hours of play time; but then again, expect lesser play time specially at higher volume. Up next is the Bose SoundLink Color II Bluetooth Speaker; it’s priced similarly with the JBL Charge 3 but it’s not totally waterproof. The Bose SoundLike Color II features IPX4 certification, meaning that it’s water resistant only and can survive from splashing water, but not immersion. It has a square-ish body that is made of rugged, soft-touch silicone exterior. Aside from having Bluetooth connection, the Bose SoundLink Color II has NFC as well for quick pair. Although, battery life is not its strong point as it only offers up to 8 hours of play time. Also in the same price range is the Ultimate Ears Boom 2 Bluetooth speaker. This elongated portable speaker is not only waterproof but shockproof as well. It supports Siri and Google Now voice integration; and it’s also compatible with Amazon Echo Dot for Alexa voice control. 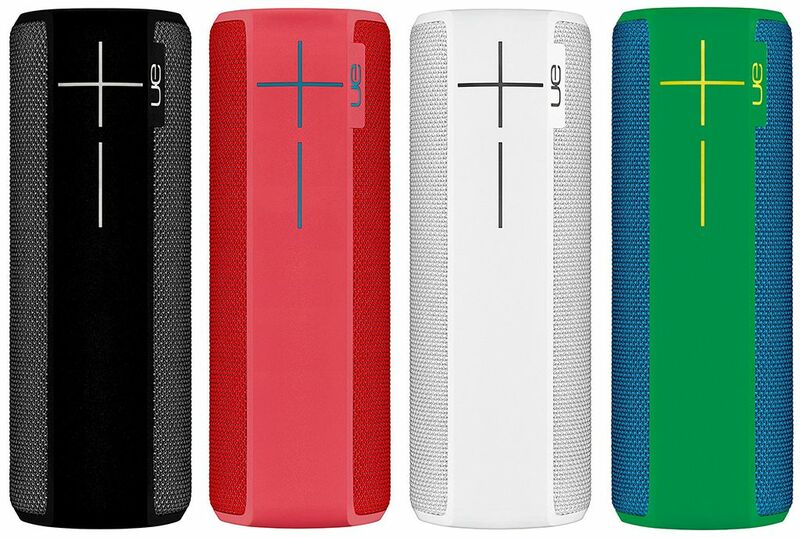 It also supports UE’s Party Up, where you can connect several UE Boom 2 speakers from a single source. The UE Boom 2 offers up to 15 hours of play time and it’s a good companion for outdoor activities. Moving up to a pricier portable solution is the Marshall Stockwell portable Bluetooth Speaker, nearing the $200 price margin. 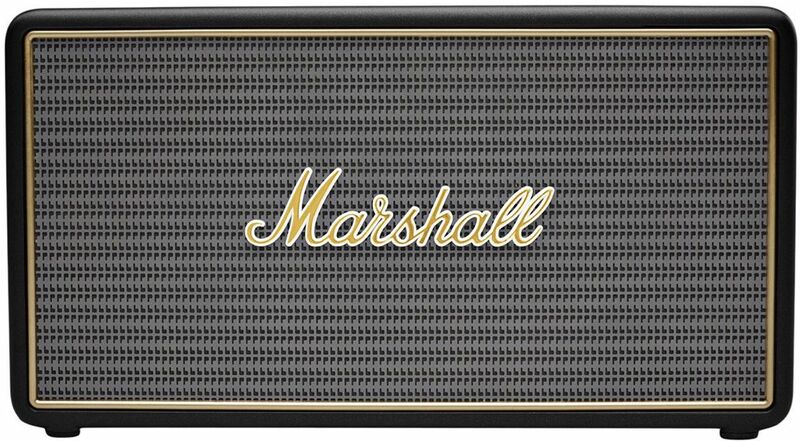 It’s a rectangular but flat Bluetooth speaker and it’s the smallest from Marshall. It offers up to 25 hours of play time and with its two 2.25″ woofers and two Class D amplifiers, it’s one of the loudest in its class. 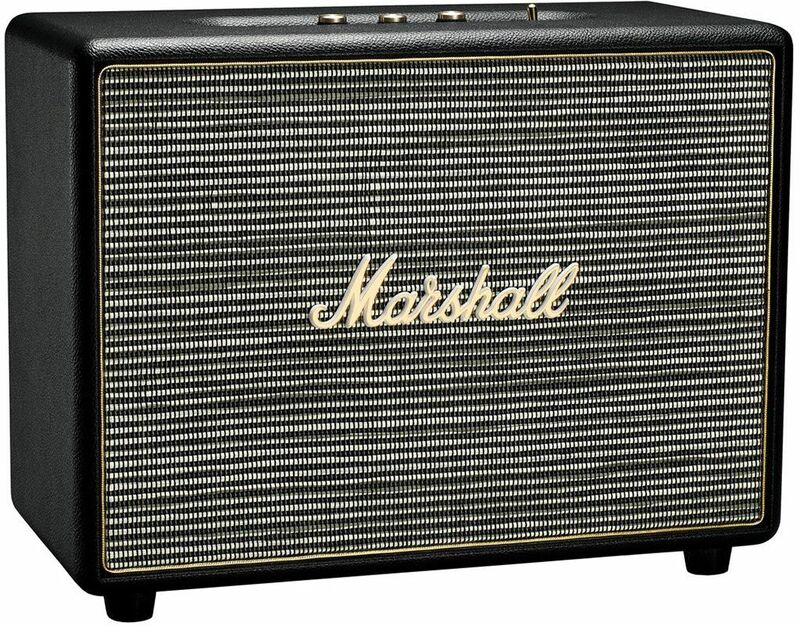 One thing I like about the Marshall Bluetooth speakers is that analog Volume, Bass and Treble control knobs; that’s right you can control the amount of the bass and treble on this speaker. You can also receive phone calls on the Marshall Stockwell, aside from listening to music. Breaking through the $200 price margin is the Riva Turbo X Bluetooth speaker. I personally like this speaker as it offers a solid and rich bass and great mids; and a 300 degree sound coverage thanks to its Trillium sound technology. It also has a Turbo EQ mode that would increase volume up to 100dB output. It features 7 custom ADX transducers and discrete 3-channel amplification. It offers battery life up to 26 hours but you’ll have to charge it via wall. The Marshall Kilburn is up next at around $220 USD. It’s larger compared to the Stockwell, but it is still small and portable enough to carry around. It features two 3/4″ dome tweeters and a 4″ woofer. 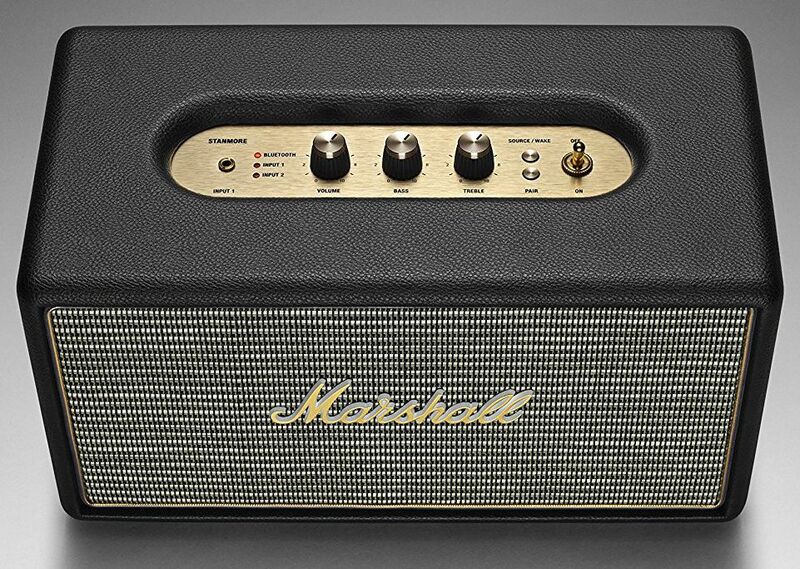 Like Marshall’s entire speaker lineup, the Kilburn also has the analog controls for the volume, bass and treble. It offers up to 20 hours of play time at 50% volume; again battery life in actual use may be lower depending on the volume. 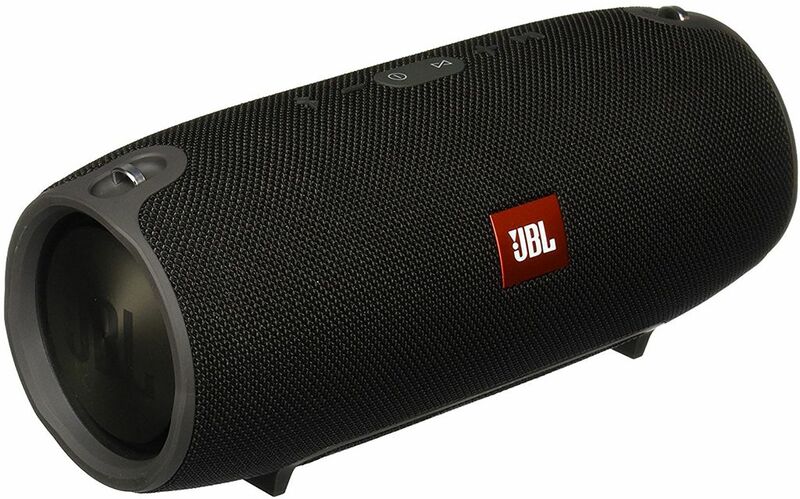 Priced similarly with the Kilburn (a little bit higher actually) is the JBL Xtreme portable wireless Bluetooth speaker. It’s a little bit more powerful than the Kilburn (specially the bass) and I think this one also has the better sound quality between the two. It’s not waterproof but it is splash proof, so be careful not to submerge it. It can be connected up to 3 mobile devices, and can answer calls thanks to its noise and echo cancelling speakerphone. Battery life is not “Xtreme” though, as it offers up to 15 hours of play time only; expect battery life in real world scenario could be lower. 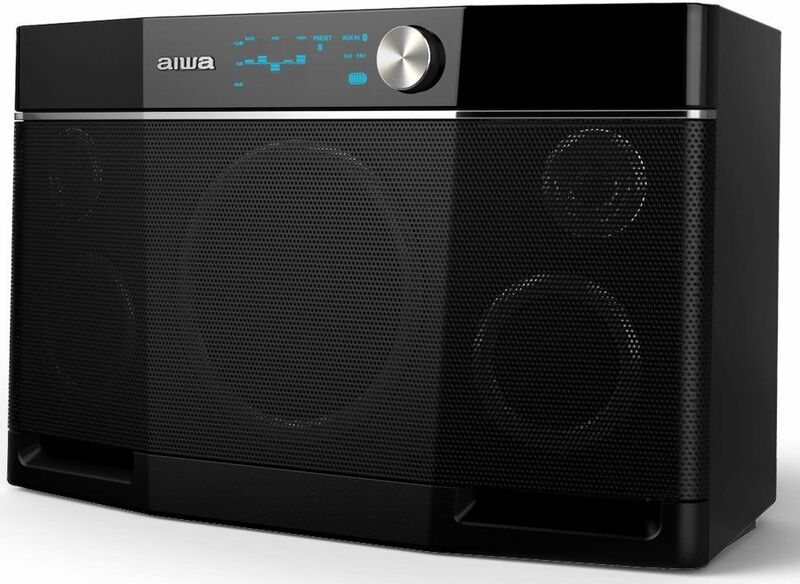 The Aiwa Exos-9 portable Bluetooth speaker is quite the opposite from the Addon T3 in the sense that it’s quite big for a portable device. Sound quality on the Exos-9 is top notch and it gets really loud. There’s also a mini display indicating the activity of the speaker and shows other information as well. There are 5 powered drivers inside, including a 6.5″ subwoofer and it’s capable of delivering 200 watts of continuous power. There’s also a 5-band EQ with 4 presets in case you want to fine tune the sound signature to suite your taste. It also has a feature where two Exos-9 can be linked for a massive sound output. 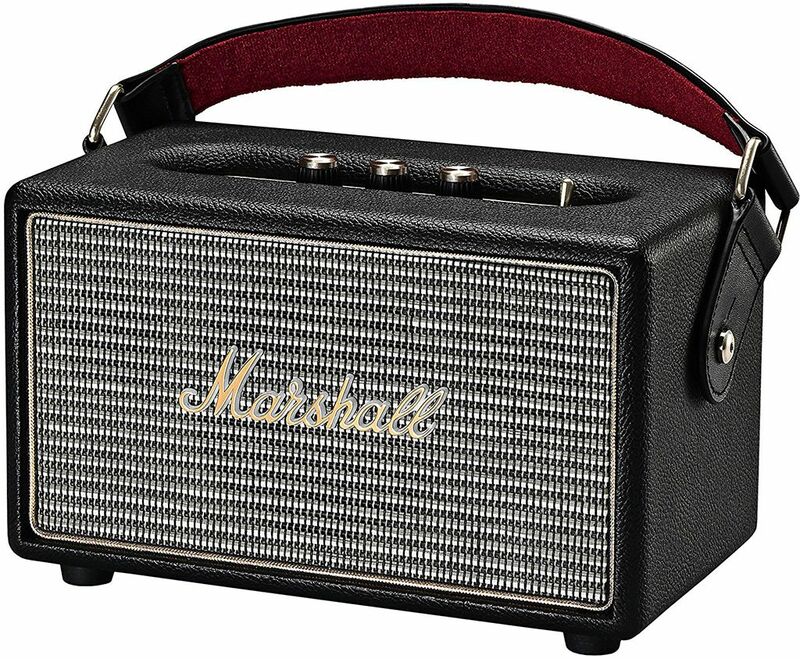 Nearing the $300 price margin is the Marshall Stanmore Bluetooth speaker. It’s larger than the Kilburn and it has more features and connectivity options compared to its little brothers. The Marshall Stanmore supports aptX CODEC aside from Bluetooth 4.0 with EDR and has RCA input as well, in addition to the 3.5mm input. It features two 3/4 dome tweeters and a larger 5.25″ woofer. It has a rated output of 80W but it doesn’t have a built-in battery. You’ll have to plug it on the wall to power this speaker. The Stanmore Bluetooth speaker is available in three colors, black, brown and cream. Just sitting a dollar below the $300 price margin is the Bose SoundLink Revolve+. 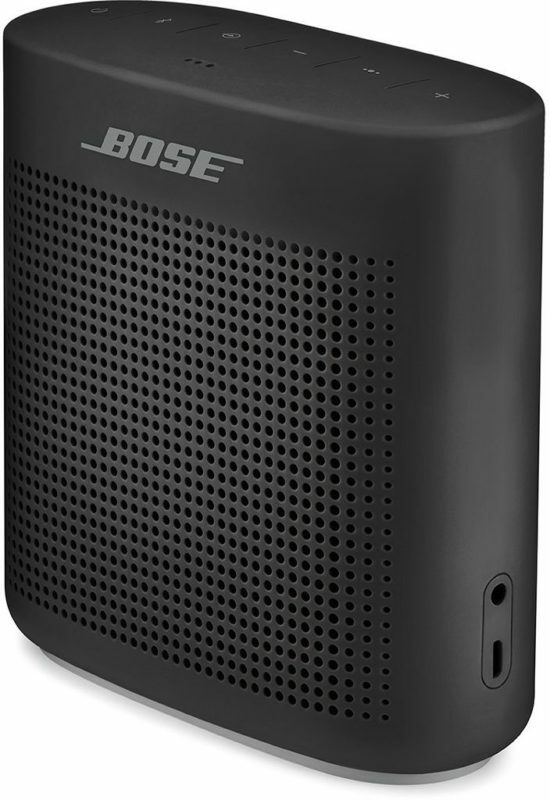 This is one of the latest speakers from Bose and it sports several feature and improvements from its predecessors. The SoundLink Revolve+ offers a true 360 degrees sound coverage. It’s not waterproof, but it is IPX4 certified; meaning it’s water resistant. It also has a built-in speakerphone and supports both Siri and Google Now. The SoundLink Revolve+ can also be paired with another Revolve+, useful specially if you’re in a party or you want to cover more area. It offers up to 16 hours of play time; but again, expect actual battery life could be lower depending on the volume or usage. The V-MODA Remix Bluetooth Hi-Fi mobile speaker is priced similarly with the Bose SoundLink Revolve+. But it has a different physical appearance and design. The Remix is not only a Bluetooth speaker, but it’s also built with an audiophile-grade headphone amplifier. V-MODA is marketing the Remix as a “Hi-Fi Bluetooth speaker”, so expect sound quality to be top notch. It also features daisy chain mode and it’s compatible with Amazon Alexa via Echo Dot. Battery life doesn’t last that long though, as it only offers up to 10 hours of music playback. 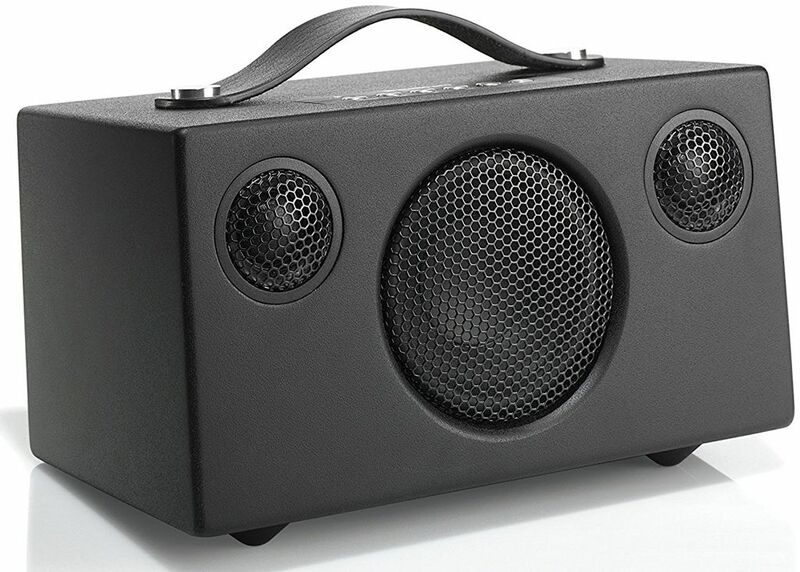 Last but not the least is the Marshall Woburn Bluetooth speaker; this is basically the big brother of the other Marshall Bluetooth speakers mentioned earlier. It’s currently priced at around $399 and it shares similar features with the Stanmore. It also support aptX CODEC, has two 1″ dome tweeter and two 5.25″ woofers. This is basically larger than the Stanmore and produces louder sound volume. However, just like the Stanmore, you’ll have to plug it on wall to power up this Bluetooth speaker. There you have it guys; which of the Bluetooth speakers do you like most? If you know a Bluetooth speaker with great sound quality and features that is not on the list, hit the comment section below and let us know.